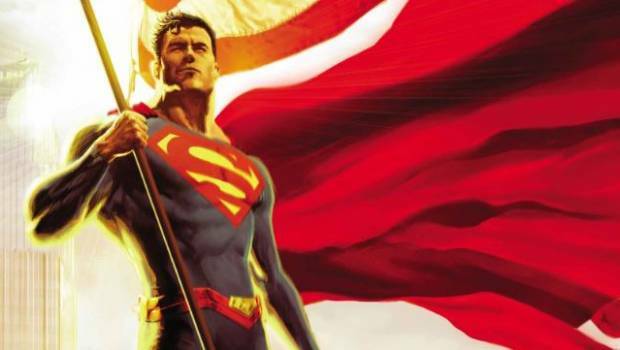 Summary: Action Comics #997 is classic Dan Jurgen's Superman! 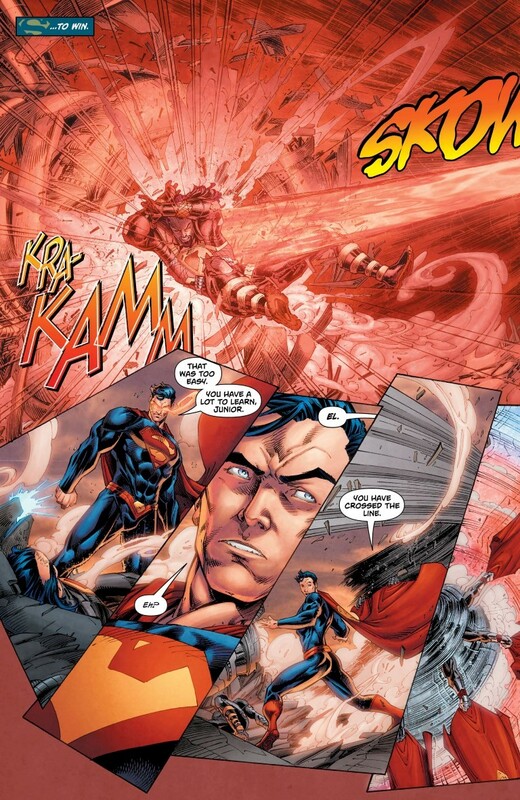 Okay.. it’s now common knowledge that Brian Bendis is taking over both series of Superman, however till then, we still get to see the conclusion of Dan Jurgens epic run on Action Comics. 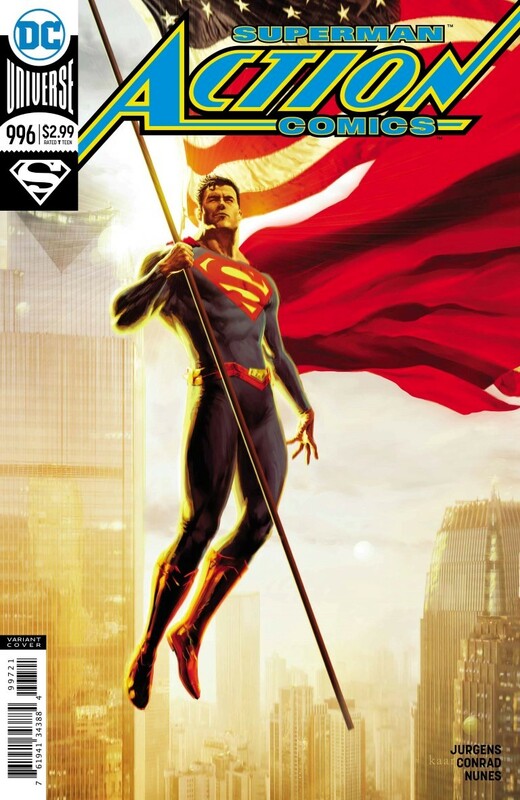 The issue starts with a recap of this current story as Superman went back in time to try the learn the truth about his father Jor-El (aka Mr Oz). 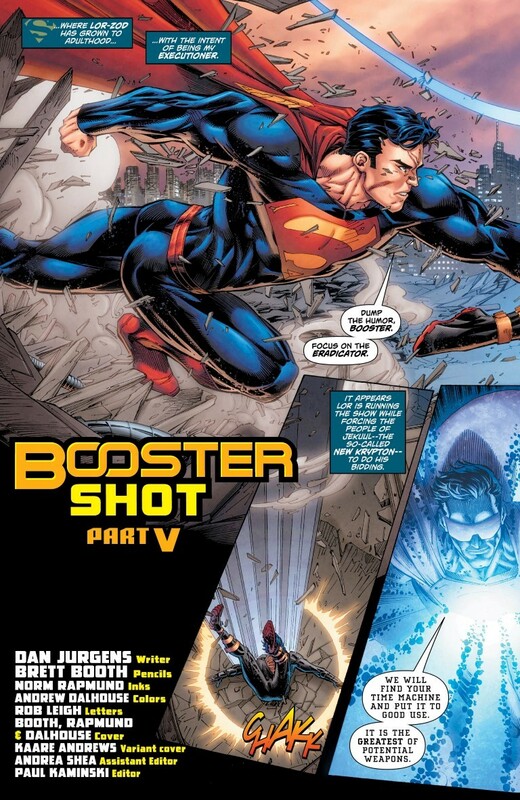 Unfortunately this has a ripple effect but thanks to Booster and his trusty sidekick Skeets, they are on their way to making things right… once they escape the Dystopian world of New Krypton lead by the Zod family. 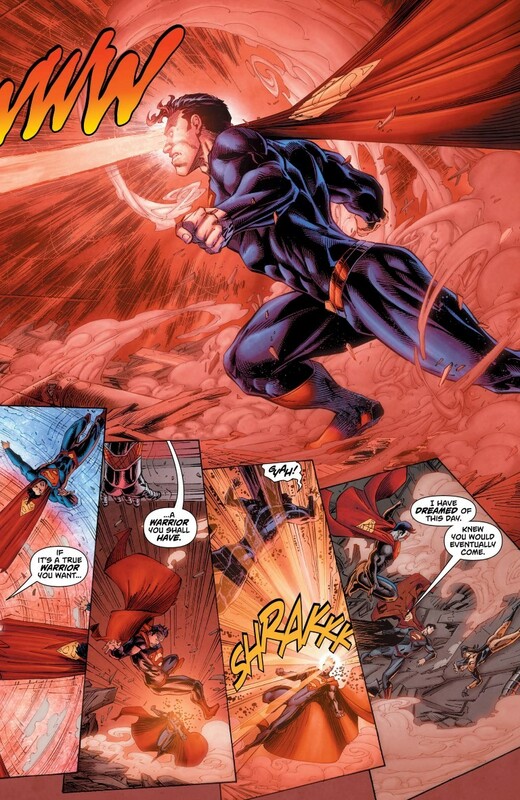 As Booster fights the Eradicator who knows that they are from the past, Superman goes against the son of Zod, Lor. 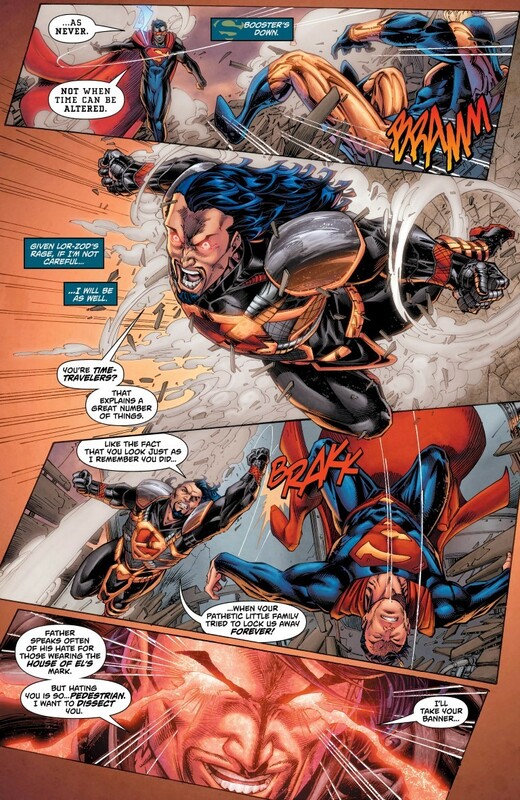 Although Superman bests Lor-Zod, the time hopping duo from the 21st century are defeated by a wildcard which is General Zod himself. 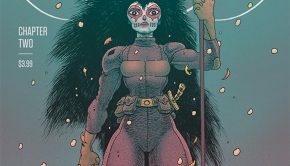 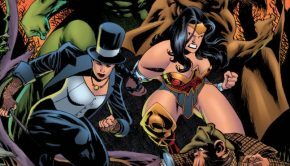 The issue also skips back to the present and planet Earth as Lois has covertly made her way to Logamba’s Governmental Palace in order to find her missing father. 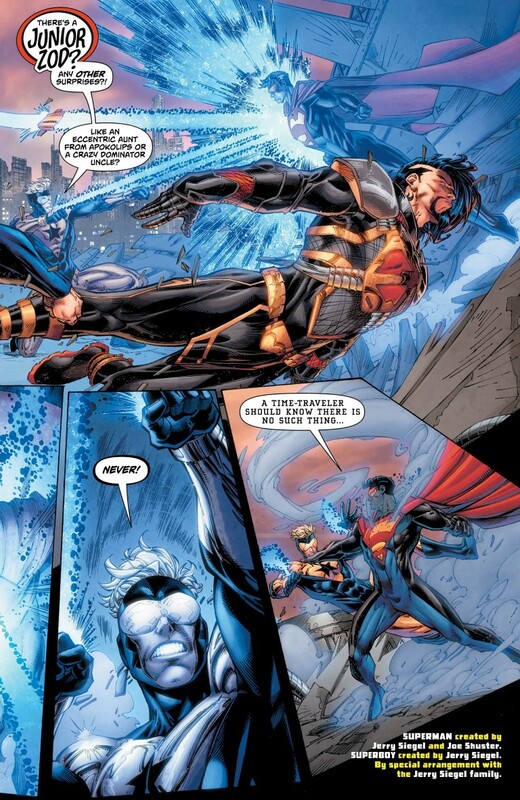 Even though Lois has made it this far, she does misstep but thankfully her son Jon who has been secretly watching her helps save his mother as they eventually find General Lane and commence their rescue. 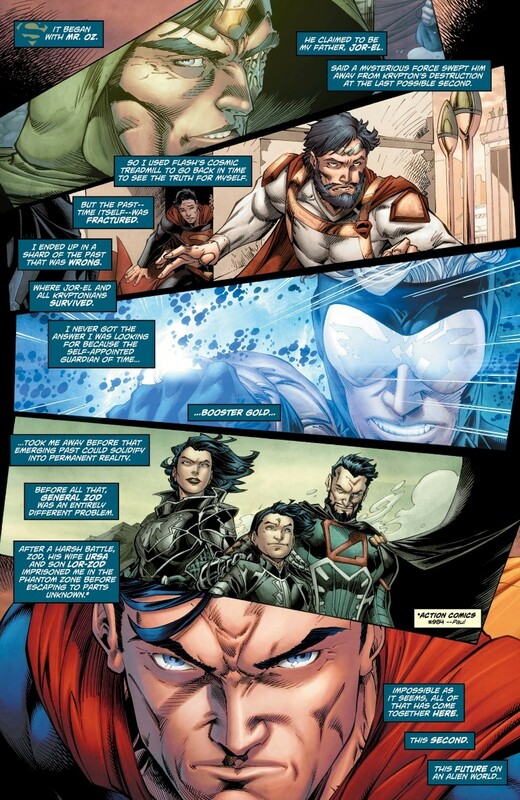 Back in the future and on New Krypton, Zod, Ursa and their son Lor mock the captured Man of Steel and commence their torture. 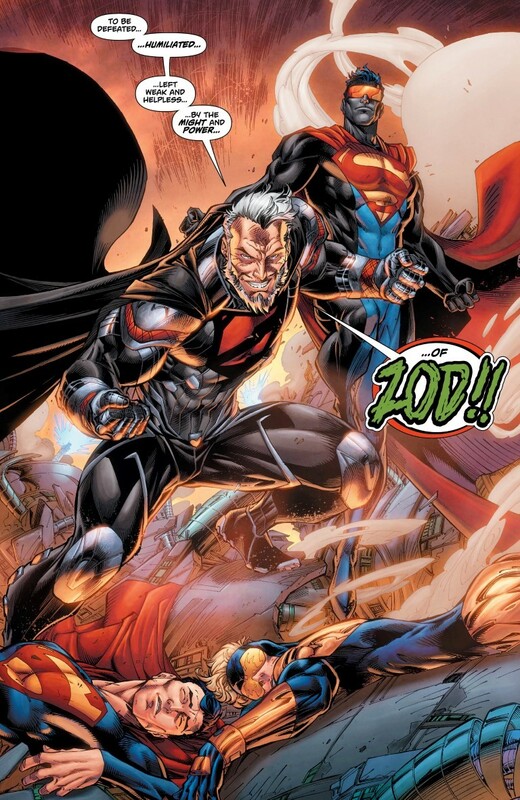 General Zod vows to kill Kal-El and ensure that his wife Lois and their son Jon will be forever trapped in the Phantom Zone. 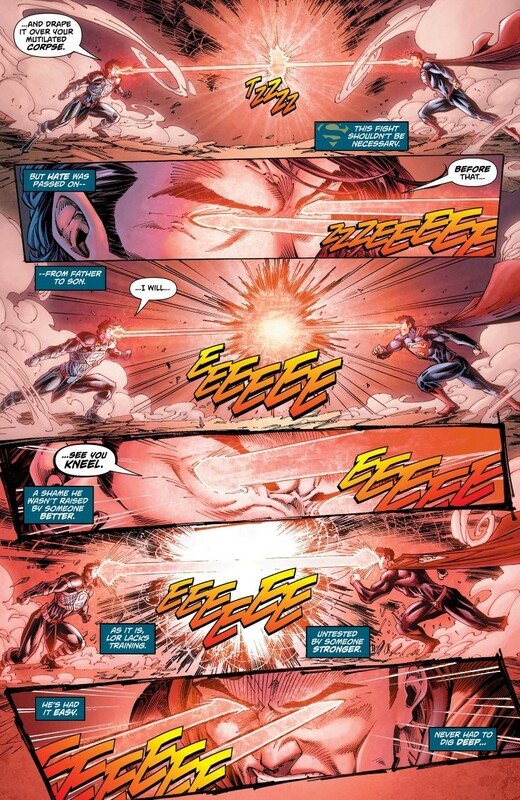 To make matters worse for our heroes, they hope to use the time sphere to change the time stream as all three of them use their heat vision to destroy the ‘Blue’ and ‘Gold’ as the issue ends with Lois, her father and her son recaptured who wanted her dad dead. 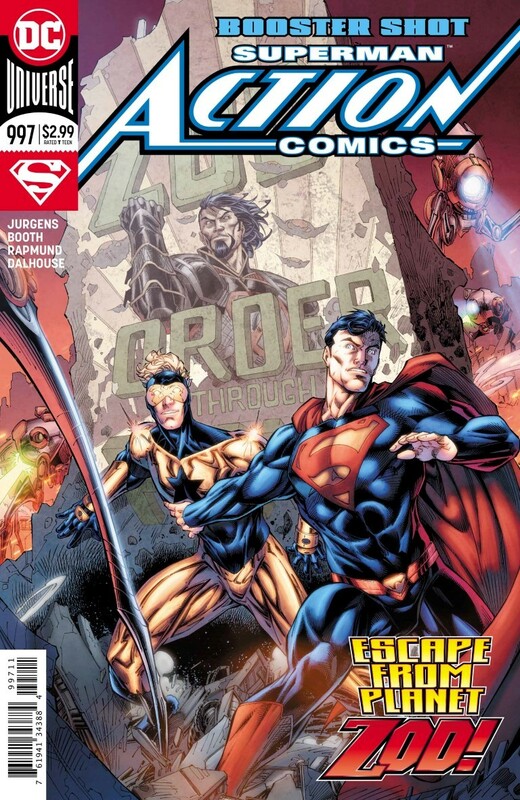 Action Comics #997 is building to something big and this was a fun issue from start to finish. 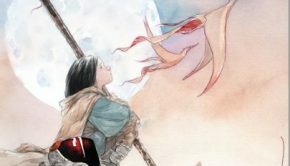 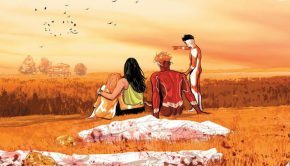 Sure, we all know how it will end but it’s all about the journey that boasts decent characterisation, enjoyable dialogue and some dynamic art from Brett Booth who really brings this issue to life.